Do you ever feel like you keep cooking the same exact meals over and over again? I'm pretty sure most of us feel this way and get stuck in a rut. I am always looking for ideas online and sometimes even that can be overwhelming. I recently was introduced to the new Food Lion website with their recipe portal. The site is super clean and easy to maneuver and find things. You can sign up for a Food Lion MVP card either online or in-store. I created an account on the website using my MVP card. Once you're logged in, you are open to a host of tools at your fingertips. The recipe portal is broken down into categories ranging from main dishes, vegetables, sides, desserts and more. Once you find a recipe you are interested in, you are able to click on the individual ingredients and add them to your shopping list. How convenient is that? You can even find recipes according to a specific ingredient. If you have a recipe you would like to share, you can easily submit it into the portal. All you need is a couple photos, a list of ingredients and the steps to prepare. 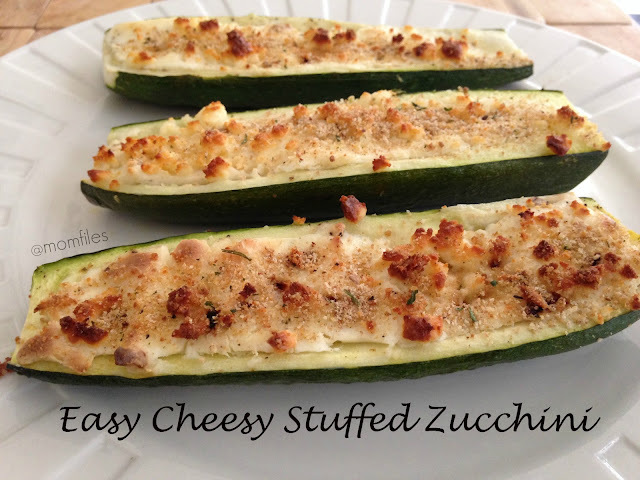 I submitted one of my favorite recipes for my Easy Cheesy Zucchini and it took me under 10 minutes. I love the fact that the recipes on the Food Lion site are from home kitchens like yours and mine. My zucchini recipe is a big hit and I know it will be for other families. The recipe is so easy and doesn't require any outrageous, hard-to-find ingredients. Want the full recipe? Go check it out here. While you're there, be sure to browse other recipes and submit your own. Be sure to sign up for your MVP card so you can take advantage of their low prices. You can even track your savings on your dashboard when you are logged into your account. Be sure to connect with Food Lion on the web, Facebook and Twitter for promotions and updates.